​In auditioning potential cast members, we look for ability in singing, dancing, and acting. If cast, actors will be expected to attend workshops,​ as well as ​asked to independently learn and work on materials at home. 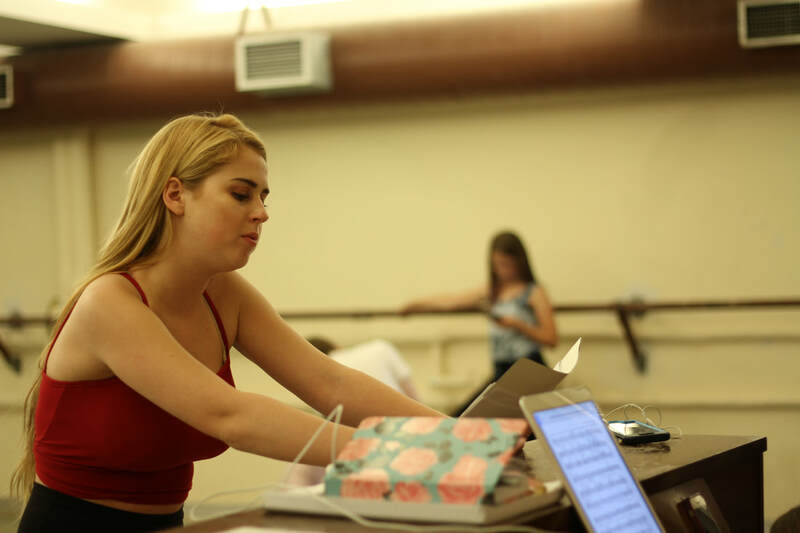 The training offered through this process will ​focus on career driven skills in musical theatre, providing each cast member with an intensive and rewarding experience. Please prepare 32-Bar cuts of two contemporary musical theatre songs. That means a section of the song that is around 32 measures, usually 1 verse and 1 chorus. If you don’t know how to prepare that, a whole song is perfectly fine! Please bring the sheet music in a three-ring binder, preferably double-sided. You are encouraged to prepare at least one upbeat ballad. Be mindful of the production for which you are auditioning and choose your pieces accordingly. Note: You may only be required to perform one song at the audition. NEW - You will receive a short scene that you might be asked to read during your audition. Please look it over prior to your audition time. Note: You do not need to memorize the scene. You may be given further instruction about the scene by the director at your audition. You may also not be required to read the scene at all. Please note that, unlike previous years, you will not be required to prepare a monologue for your audition. A group dance/movement segment of the audition may be required for all those auditioning. Please wear dance appropriate clothing for this part of the audition. A session of callback auditions will be held at the discretion of the artistic team and may only require certain individuals. They are not an indication of whether you will be cast in the show, or are up for receiving a specific role in the production. Note: Callbacks may not be required if the artistic team does not feel they are necessary for casting the production. Conduct some research about the play (and it’s composer/ playwrights) for which you are auditioning. Get a feel for it’s style and tone, and try to have it reflect your audition. Practice your pieces out loud before your audition. This will help you set a pace and tone for your pieces. Bring sheet music for the pieces you are preparing. Accompaniment will be provided. You may also be asked to perform a vocal range or other vocal exercises at the audition. Everyone at your audition wants you to succeed, so make sure to relax and have some fun! Participation in MAINSTAGE THEATRE COMPANY requires a great deal of commitment on behalf of each actor. In addition, this requires the support of their parents or guardians by providing transportation to and from rehearsal sites, supporting the efforts of learning lines and choreography, and participating in parent committees and marketing efforts. Beyond this support, a financial commitment is required before each actor can participate in the rehearsal process. The tuition rate is $1243 ($1100 + HST) and includes rehearsals, one week of tech, and shows. The fee is due no later than Orientation Day, in person or by mail. Any additional costs are entirely optional and will be described during Orientation. At this time we can only accept payment of tuition and fees by cheque. We are not able to process tuition and fees by credit card or debit cards. Acceptance of your child into the production is conditional upon payment of tuition fees. Failure to pay the tuition fees by the appropriate due date will result in the cancellation of your child’s role in the MAINSTAGE production. For each production, MAINSTAGE offers a limited number of bursaries to support those who would otherwise not be able to participate in our program. Please contact info@mainstagetheatre.com for more information. Sign up below to receive audition and company announcements.